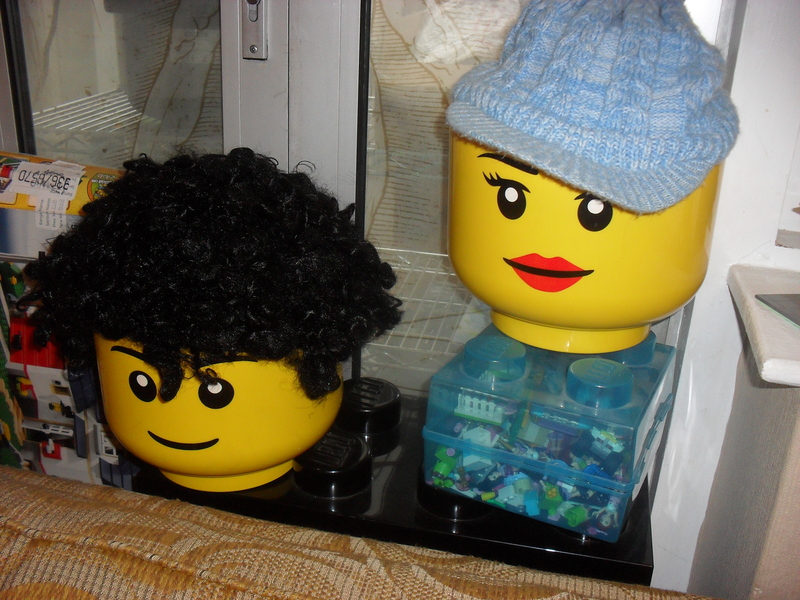 I received one of the Container Store LEGO heads as a gift, and I think it's hilarious, but looks a little strange. Has anyone seen any (custom?) hair or hats made for them? my kids put real wigs on them!